County Bank is working hard to make it easy for you, as our customer, to bank how you want, when you want and where you want with a new generation of Electronic Banking Services. You can manage your accounts, transfer funds between accounts, pay bills, deposit checks and get your monthly bank statement from your PC, your smartphone or your tablet. It's never been easier. 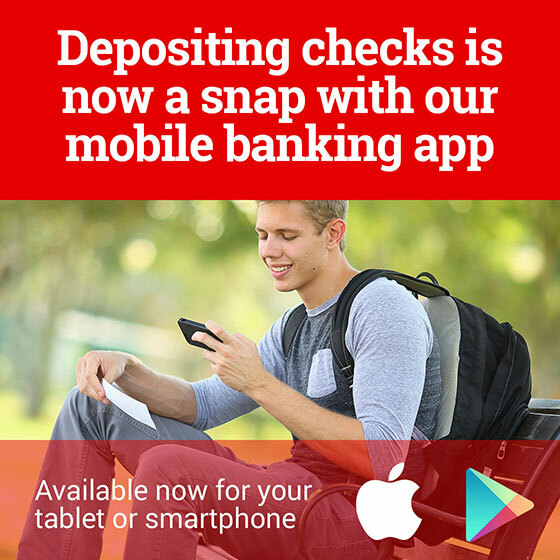 In Fall 2015 County Bank’s newest Electronic Banking Service was introduced. For the first time in our service area you’ll be able to combine the convenience of an ATM with the helpful service of a County Bank Personal Banker. 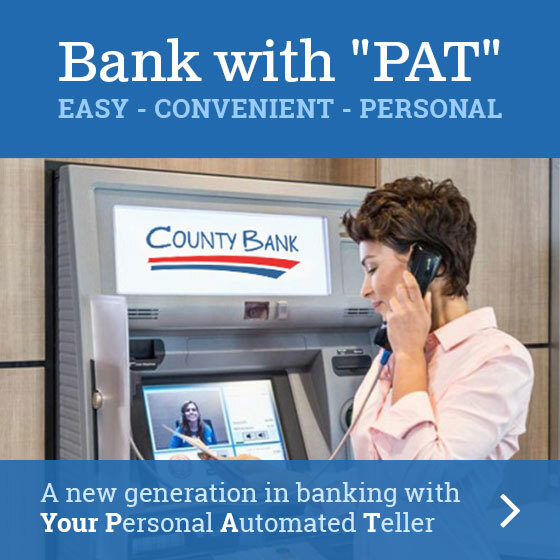 Meet "PAT" – County Bank’s family of Personal Automated Tellers. Besides making your banking easier and more convenient, Electronic Banking Services are good for the environment by saving paper. You can set your own "Banker’s Hours" with County Bank’s Electronic Banking Services. 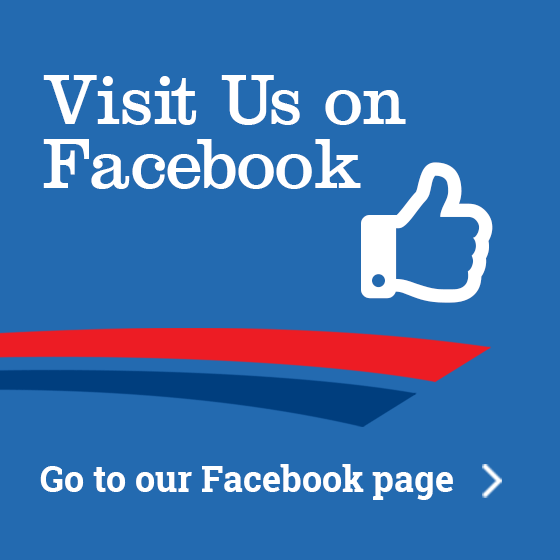 Read about the exciting options that are available for you. When you’re ready to sign up stop by one of our convenient offices, contact a Personal Banker or visit the Online Applications Center to get started.